Sara Hendershot is an Olympic rower training for the 2016 Rio Olympics. She is a World Champion and placed 4th in the 2012 Olympics by less than half a second. She is also a Princeton University graduate, a Senior Account Manager at SMACK! Media, a health nut, and a life-long-learner. The rowing machine. You’ve seen it in the corner of countless gyms, lonely and unused. So what is this thing? How do you use it? And why should you give this machine a try? Bottom line: You won’t get a better full-body workout on any other piece of equipment in the gym. The indoor-rowing machine (also known as the ergometer, or erg) engages your legs, hips, core, back and arms. 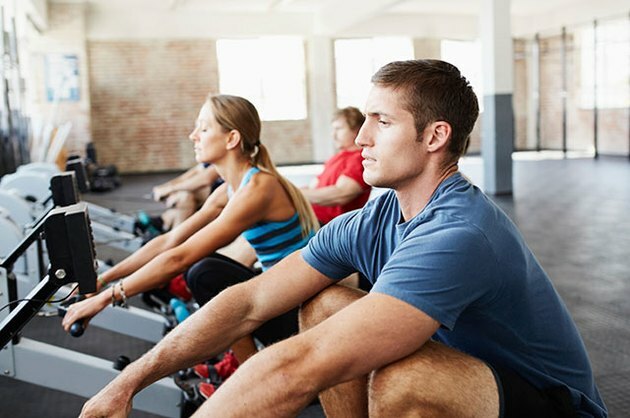 When used properly, you’ll get both a cardio and strength session from an erg workout. There’s no need to spend hours on this thing in order to burn your daily calorie goal. 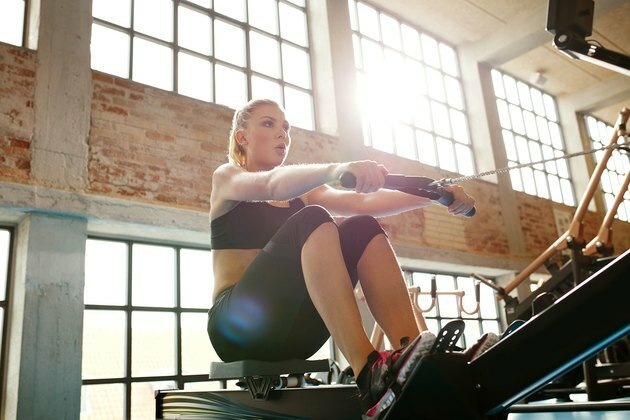 The erg is the perfect machine to practice intervals, which can help develop your body’s ability to switch between energy systems and is an effective way to lose weight. The erg is extremely honest. A display screen shows your power output for each stroke, letting you know exactly how efficiently you are moving and if your pace is letting up. You move this machine; it does not move you. You move this machine; it does not move you. Imagine bending down to pick something off the ground and repeating that motion hundreds of times. It doesn’t matter how heavy that item is, your body is eventually going to wear out, especially if you’re not using your strongest muscles. Rowing is essentially the same thing, except you’re moving that item horizontally with each stroke instead of vertically. If you compromise the position of your hips and core, you will wear out those muscles more quickly. For this reason, it’s very important to use your largest muscle groups in order to produce the greatest possible power output and to protect those areas vulnerable to injury. First and foremost: Stop setting your fan to 10! A higher fan setting does not equal a tougher workout. Damper setting is similar to bicycle gears: It affects how rowing feels, but does not directly affect the resistance. A lower damper setting on the indoor rower is comparable to easier gears on a bike. Starting around a 3 to 4 on the fan will give you a great aerobic workout without wearing out your muscles too fast. The goal of the recovery portion of each stroke is twofold: to prepare your body to do the work required for the drive and to relax! 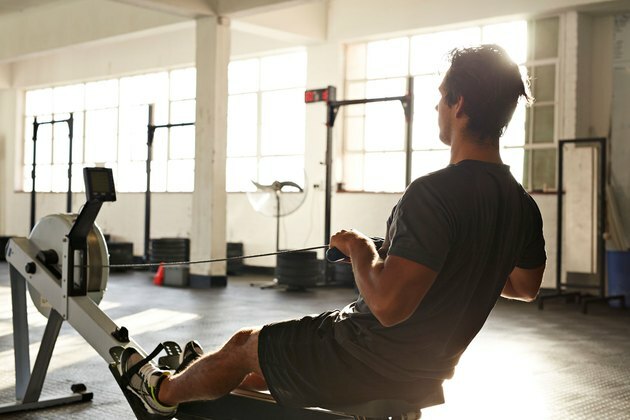 Think about this: You’re spending half of your time on the erg recovering. If you can use this time to relax your muscles, you will have that much more energy to produce power on the drive. In order to properly prepare for the drive, you want to make sure that you’re loading your muscles in the correct order. A great drill to help develop this is a Three-Part Pause Drill: During each part of the stroke, take one second to pause in the Finish Position, the Arms-Away Position and the Body-Over Position. Finish Position: In this position, you’ve “finished” the stroke — your legs and back are straight and you’re leaning back about 10 degrees with the handle up against the middle of your chest. Pause. Arms-Away Position: Still in the same position, release your arms and send them “away” from your body. Pause. Body-Over Position: From the Arms-Away Position, hinge at the waist so that you’re now leaning forward about 10 degrees, arms and legs still straight. Try to find each one of these positions while remaining loose and relaxed. As you get comfortable with this load ordering you can remove each pause one at a time until you are moving continuously through the recovery. The Drive is executed in the exact opposite order of the Recovery, with a focus of using your biggest muscles to create power -- pushing first with your legs while holding your core stable, then adding in the rest of your body by opening your hips and finishing the stroke by following through with your arms. Sit in the Catch Position. Sit tall with your knees bent and shins vertical. Your seat should be close to your heels. Your arms should be straight out, reaching forward with wrists flat. From the Catch, push away with your legs while holding your core tall and stable, pause, then slide back to the Catch. Your arms and back should be straight and still throughout the entire movement. Continue this drill until you are comfortable supporting your core, then add in the remaining portions of the stroke. So go get your sweat on and give the erg a try. You’ll be impressed at how great this machine is for giving you a full-body workout in a short amount of time. What Are the Easiest Strokes for Lap Swimming?